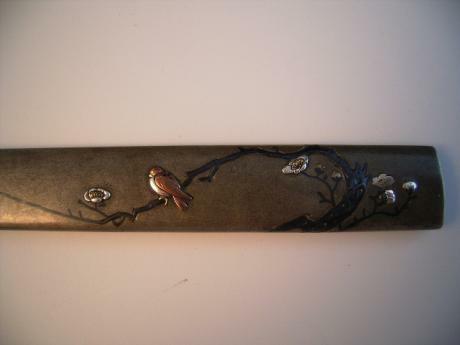 Description: Japanese Edo Period bronze KOZUKA, knife handle . 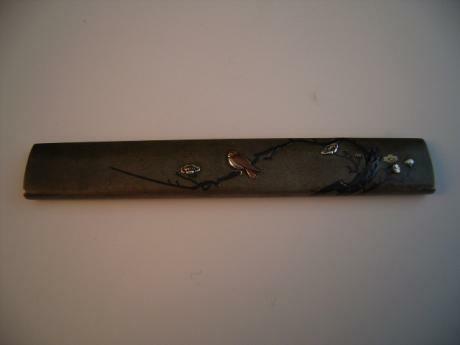 Signature of artist on back. 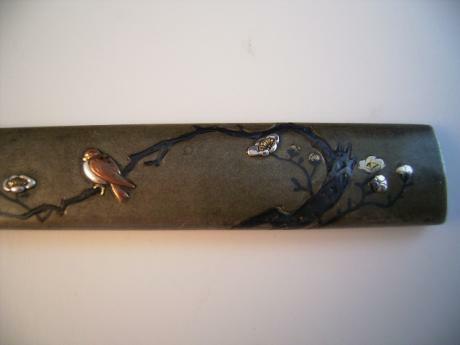 Beautiful design of bird on plum tree, done in mixed metals and inlays. 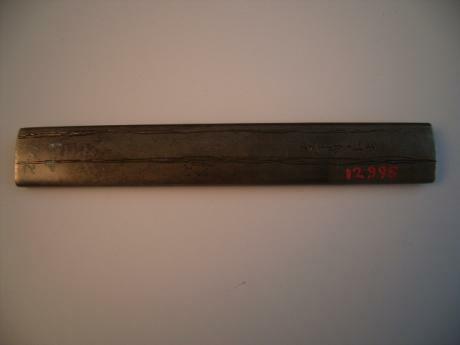 The KOZUKA measures 3 13/16" long by 9/16".